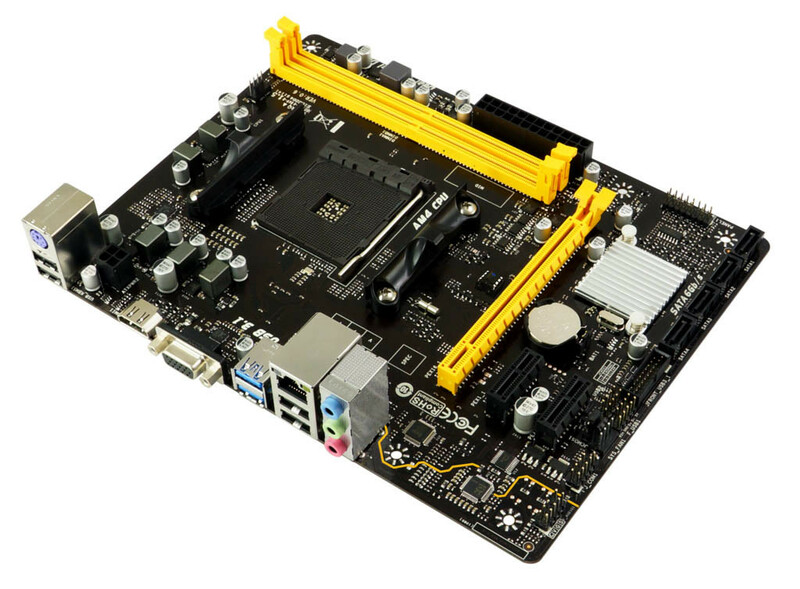 BIOSTAR presents an essential computing and home entertainment micro-ATX motherboard - the BIOSTAR A320MH. Based on the AMD A320 chipset, the BIOSTAR A320MH runs the latest 2nd generation AMD Ryzen CPUs and is easy to setup on Windows 7 and Windows 10. 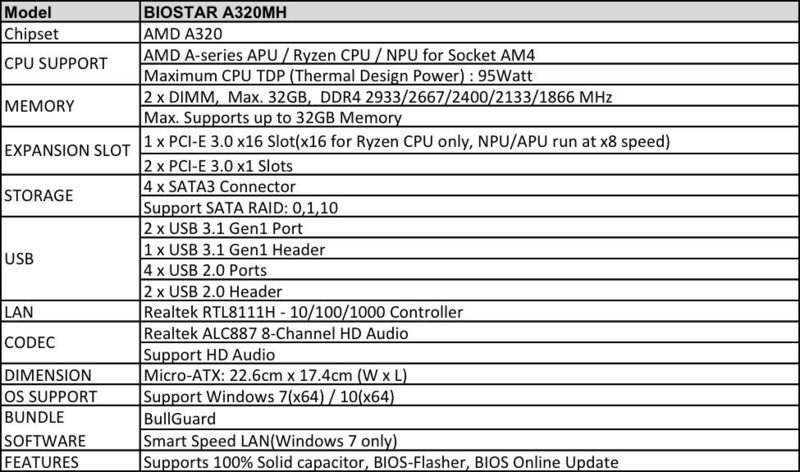 The BIOSTAR A320MH features exclusive 6+ experience with Speed+: USB 3.1 Gen 1, Smart Speed LAN, Audio+: HD Audio with 7.1-channel, Video+: HDMI4K2K, DirectX 12, Durable+: Moistureproof PCB, Low RdsOn P-Pak MOS, Protection+: ESD Protection, USB Polyswitch, OC, OV, OT Protection, DIY+: HeaderZone. The micro-ATX form factor design allows users to have enough space and flexibility for office, home entertainment and graphic design needs. It also includes free download of Smart Speed LAN software (Windows 7 only). 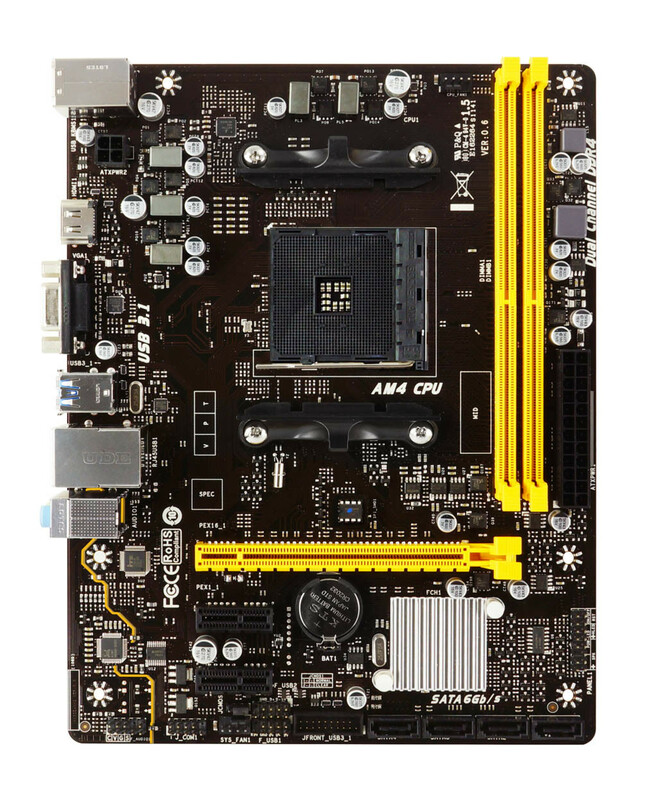 The BIOSTAR A320MH features the AMD A320 chipset for use with AM4 processors in a micro-ATX form factor. It offers essential features and performance to meet needs for daily computing with its dual DIMM slots supporting up to 32GB of 2667MHz DDR4 memory, one PCI-E 3.0 x16 slot and two PCI-E 1.0 x16 slots. As for connectivity, the BIOSTAR A320MH packs a Realtek RTL8111G controller for up to 100MB/s Ethernet connectivity along with two USB 3.1 Gen1 ports, one USB 3.1 Gen1 header, four USB 2.0 Ports and two USB 2.0 headers for lots of expansion possibilities. Supports AMD Ryzen 1000 and 2000 series CPU/APU to give you more processing power to run any application. Experience up to 5 Gbps data transfers with USB 3.1 Gen 1. Built to connect easily with next-generation components and peripherals, transfers data 10X faster and backward compatible with previous USB 2.0 components. DDR4 2667/2400 for stable and high speed to enhance everyday computing applications, design software and media playback. 1 channel sound audio and supporting HDMI 4K display can give user richer surround sound and high resolution displays when playing games, watching films or making presentation on a display. The BIOSTAR A320MH rear I/O ports have the legacy PS/2 connector support 1 x PS/2 Keyboard/Mouse, 2 x USB 3.1 Gen 1 ports, 4 x USB 2.0 ports, 1 x HDMI, 1 x VGA port, 1 x GbE LAN Port, and 3 x Audio Connectors. 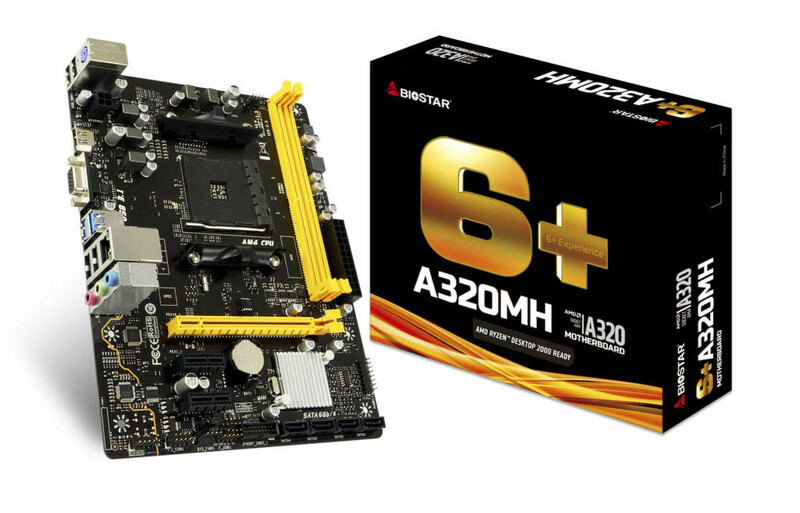 The BIOSTAR A320MH is an essential computing and media playback motherboard that is easy to setup and works with the latest AMD AM4 CPUs. The smaller sized micro-ATX form factor makes it a great fit for home or office, without sacrificing features or stability. VGA in 2018? Yeah I know that it's a budget board, but still..